LAUREN LAKE, is a renowned attorney, legal and lifestyle expert, and the judge we have all come to know from TV’s hit syndicated courtroom series, “Lauren Lake’s Paternity Court.” She built a prominent law career as a member of the New York, New Jersey, and Michigan bars with a concentration in family, criminal, and entertainment law. Lake co-founded the Women in Entertainment Empowerment Network (WEEN), which promotes the positive portrayal of women in entertainment and society through nationwide mentoring and outreach programs for young women. An accomplished musician, entertainer and all-around creative spirit, Lauren has sung background for platinum selling artists like Jay-Z, Mary J. Blige and P. Diddy and was host and designer on HGTV’s “Spice Up My Kitchen” and “Showdown Champion” for two consecutive years. Lauren Lake as she hears and rules on paternity cases and renders DNA test results. The show is produced by 79th & York Entertainment and the re-launched Orion Television, and is distributed by MGM Domestic Television Distribution. 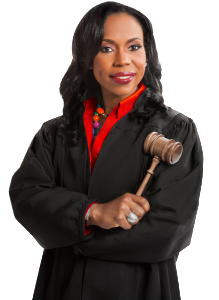 Lauren Lake’s Paternity Court is executive produced by David Armour. The show premiered on Monday, September 23, 2013 and is now syndicated in all major media markets.